I’m back. Over the past few months, you may have noticed that this blog has been silent. I’ve missed writing, but I can only say that traveling to Japan for the 99th International Lions Convention, preparing to move across the country, bringing our careers in Fargo to a close, arranging for the continuing care of Mom, making the trek to Florida, getting settled in Oviedo, starting my work as a Trustee on the Lions Clubs International Foundation Board, and stepping into a new, exciting appointment as Director of the Nicholson School of Communication at the University of Central Florida has required my full attention (to say the least). 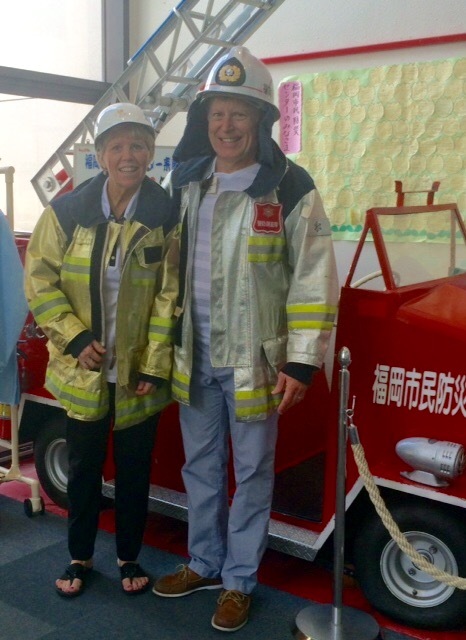 Fortunately, the rhythms of life are normalizing for Lion Kathy and me, and my focus is once again returning to sharing thoughts and experiences with the friends around the world who are following our activities. 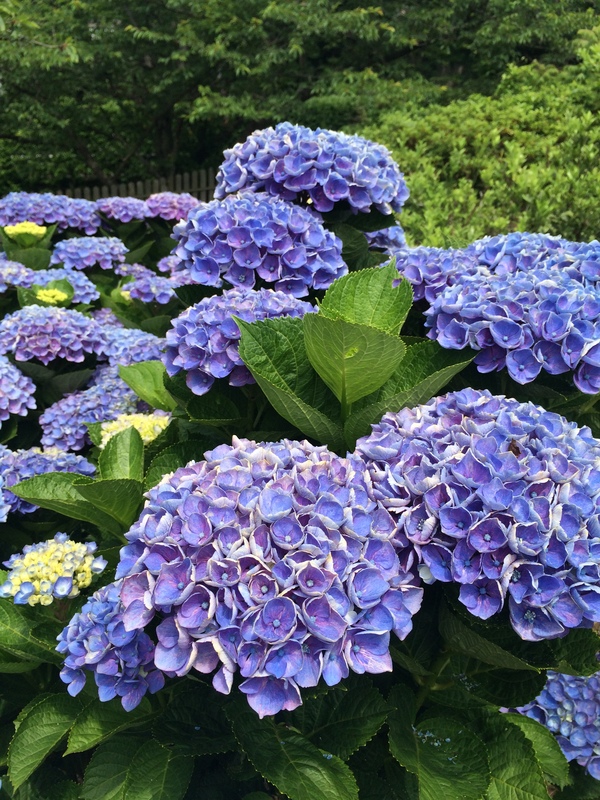 In short, the time we spent in Japan was wonderful. 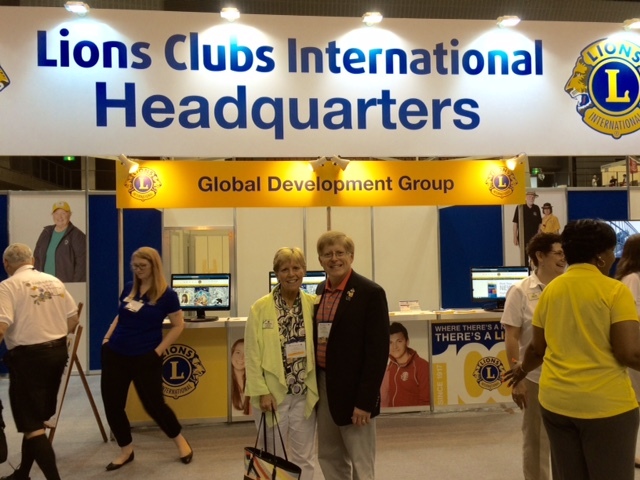 Kathy and I were in Fukuoka for three weeks, participating in the International Communication Association conference, finishing up my term on the Lions Clubs International Board of Directors, and attending the International Convention. 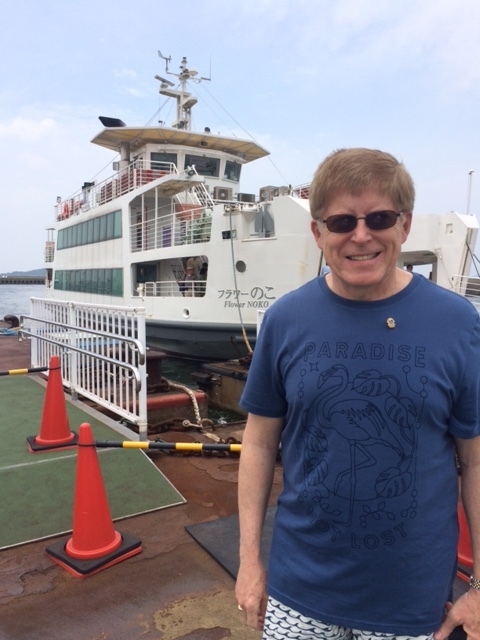 The blend of organized activity and personal time enabled us to see much of the city and we found the Japanese people to be kind and helpful to us as we navigated the language and customs of this beautiful country. 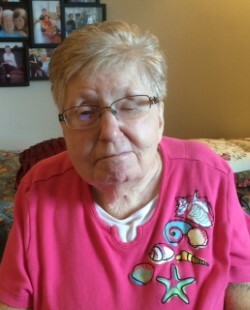 I hope you will allow me to share some of my thoughts and our photos in broad brushstrokes, as I resume my sharing of life’s adventures and moments of reflection. 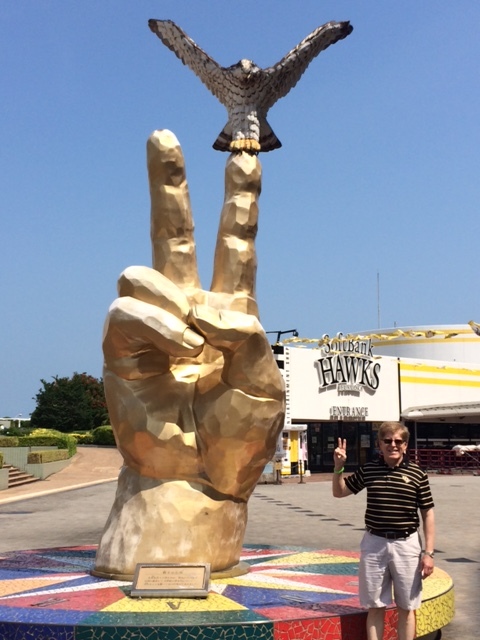 In June, Kathy and I went to Fukuoka, Japan. We started at the International Communication Association Convention, my last official opportunity to represent North Dakota State University . . .
and my first official opportunity to represent the University of Central Florida. 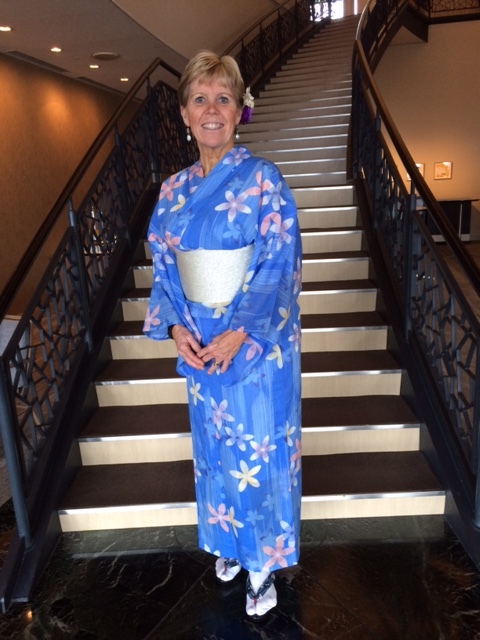 We enjoyed Japanese Culture . . .
enjoyed some side excursions . . .
and even did some research on disasters and crisis preparation in Japan. 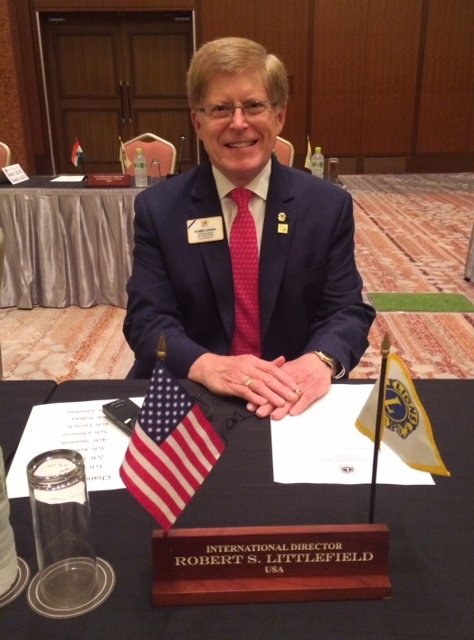 We next turned our attention to the Lions Clubs International Board of Directors meetings where, as a second year director, my term came to its official conclusion. 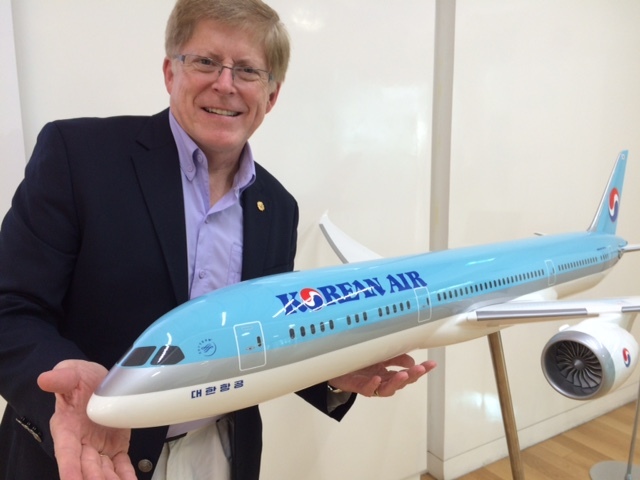 Along with a team of dedicated Directors, a Board Appointee, a Past President, wonderful translators, and a masterful LCI liaison, I chaired the Marketing and Communication Committee. 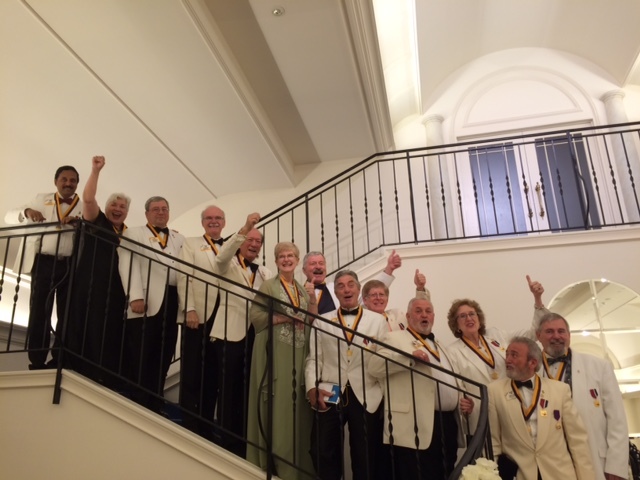 The local host committee provided a wonderful evening of good and entertainment for the Board. The final event of our meetings was the awarding of the Ambassador of Good Will Medals to the Second Year Directors by President Jitsuhiro Yamada. We celebrated . 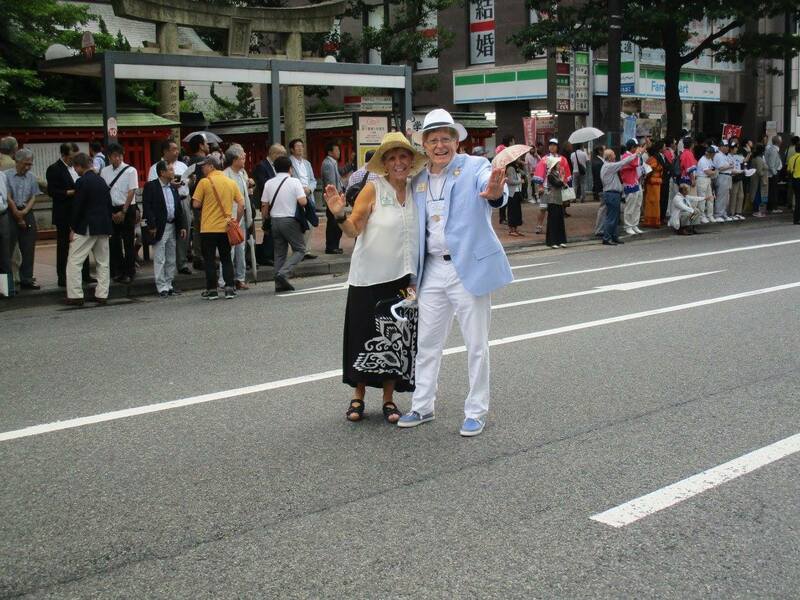 . .
and our loyal spouses and partners also enjoyed the moment! 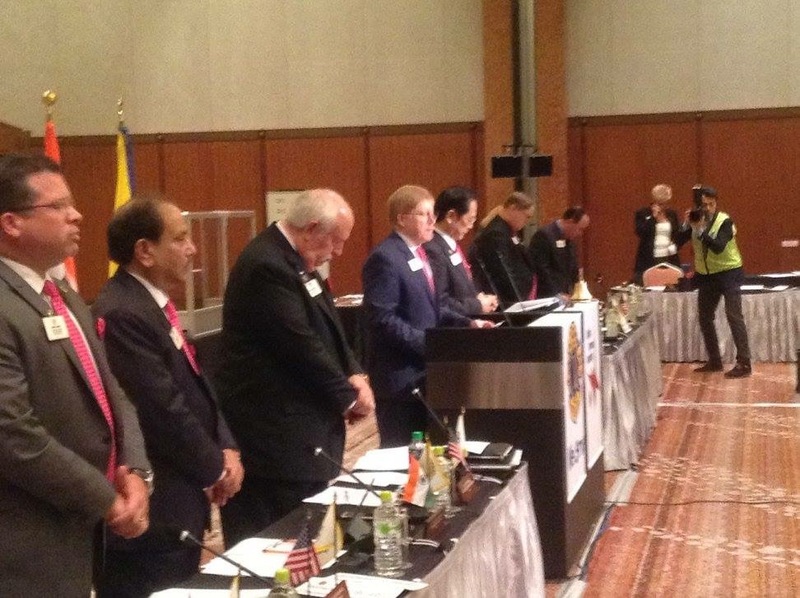 When the meetings ended, the LCI 99th Annual Convention began. 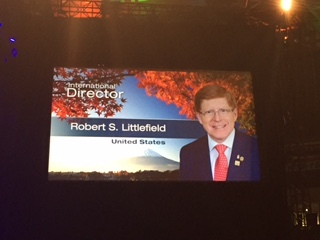 What an honor it was to serve as an International Director from the United States. LCI headquarters was a hub of activity. Our Multiple District 5 delegation marched proudly in the parade, representing North Dakota, South Dakota, and Saskatchewan. 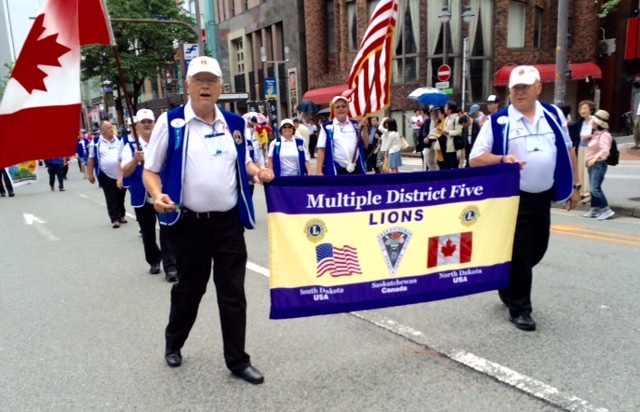 Marching in the Lions Parade is one of the most enjoyable parts of the convention for many Lions–including us. 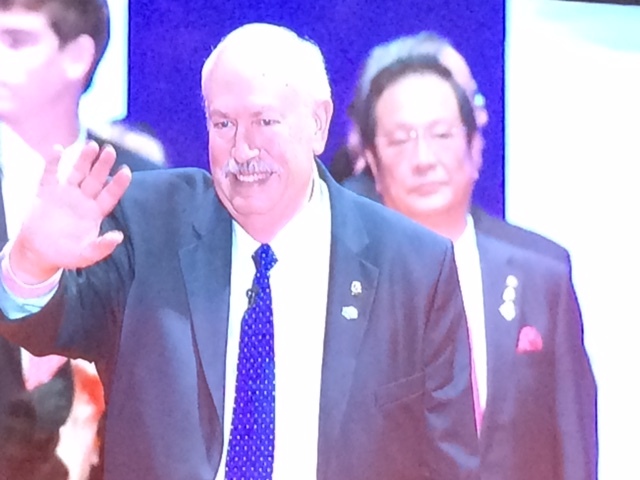 The convention was momentous, as a new President Bob Corlew of the United States was elected the 100th President . 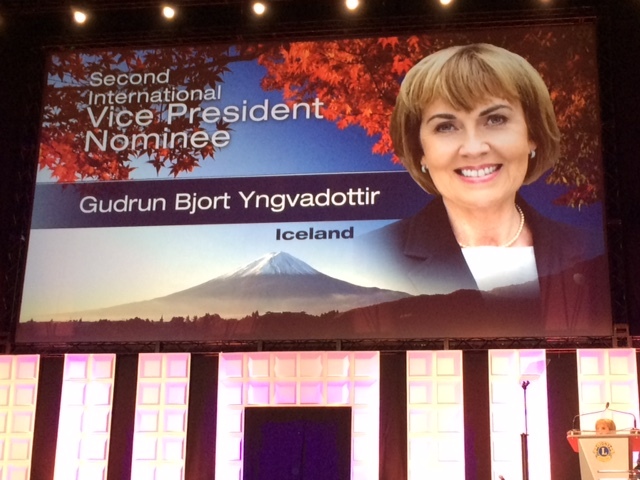 . .
and Lions Clubs International elected its first female executive officer in its 100 years of existence, PID Gudrun Yngvadottir of Iceland. 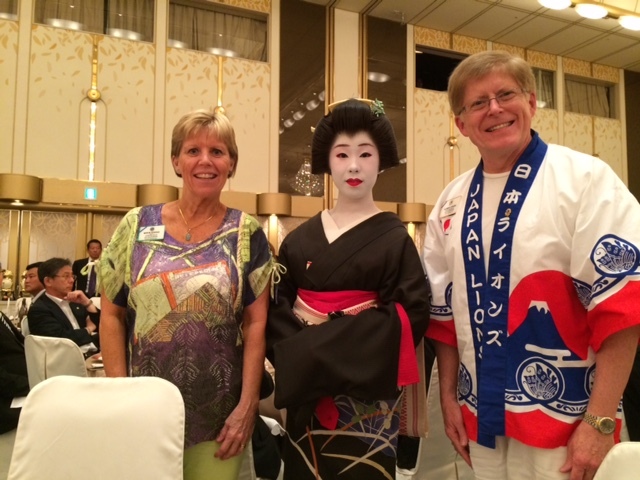 As the convention came to an end, we took a moment to remember the joy of being in Fukuoka for the 99th International Convention, and prepared to fly home to begin packing for our move to Florida and position at the University of Central Florida. 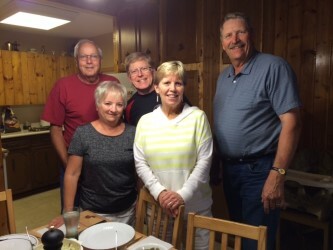 When we returned to Minnesota, we took a short break to decompress in Northern Saskatchewan with two very special Canadian couples that we served with since our days as Vice District Governors in Multiple District 5–PDG Rob and Lion Freda Hill and PDG Doug and Lion Audrey Reid. 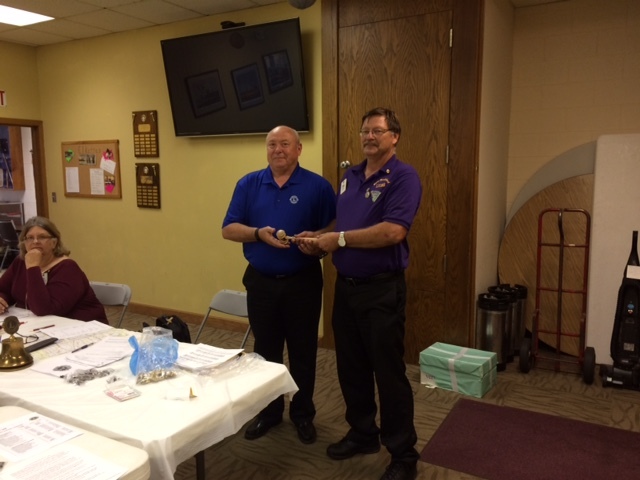 We witnessed the start of the new term of District Governor Luis Coca (5NE) on the left (IPDG Rick Swenson on the right) . . .
and then it was back to work packing up . . . Lion Kathy took a bike ride to capture a photo of the Veteran’s Memorial Bridge across the Red River . 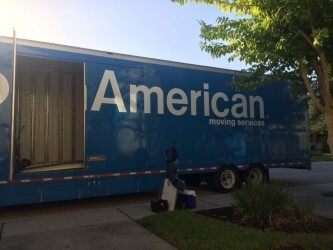 . .
Our good friends PID Linda and Vern Tincher (IN) and PID Kembra Smith and Bill Lowe (GA) made the trip to Florida go by much easier as they provided havens along the way, and it wasn’t long until we and the furniture arrived at our new home in Oviedo. 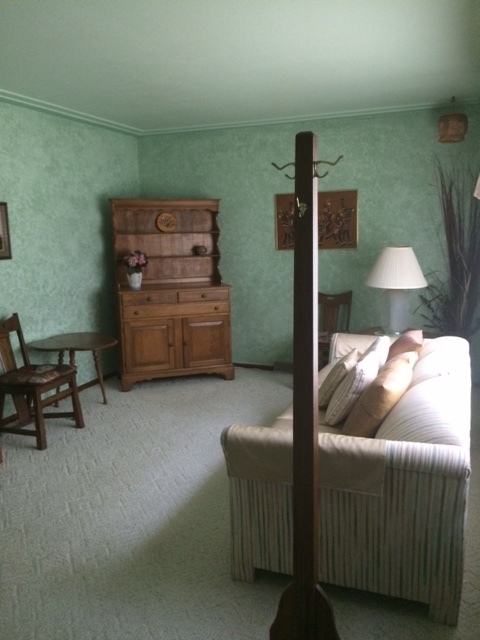 With boxes unpacked, our first visitors were our daughter and her family. 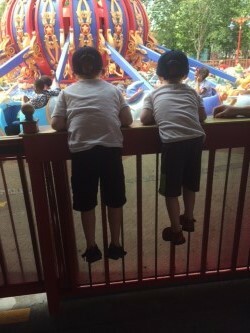 We got to see the joy of Disney through the eyes of our grandsons. Then, my work in the Nicholson School of Communication at the University of Central Florida began. What a marvelous experience to have at this point of my career! 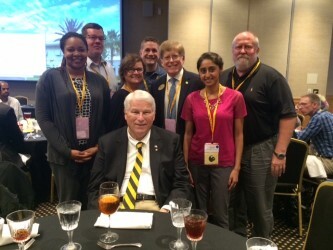 One of my first on-campus events was a training session where I was fortunate enough to find myself having lunch with Dr. John Hitt, president of UCF. 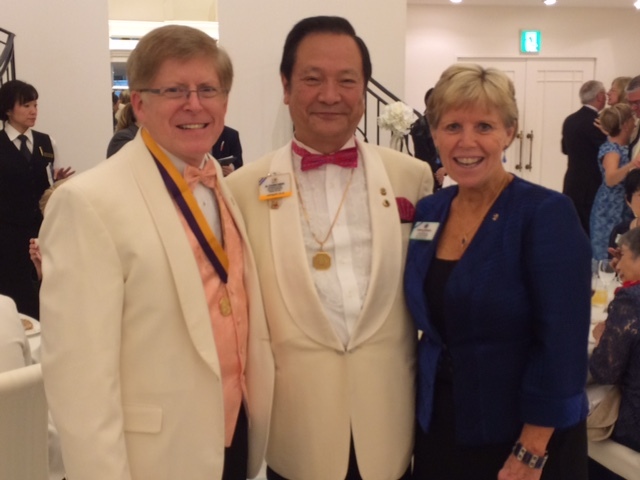 Almost without a beat, my term as a Trustee on the LCIF Board began. 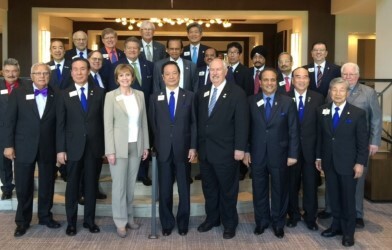 Our first meeting in August was in Oak Brook and it was great to be again with the international leaders who have become such an important part of our lives. 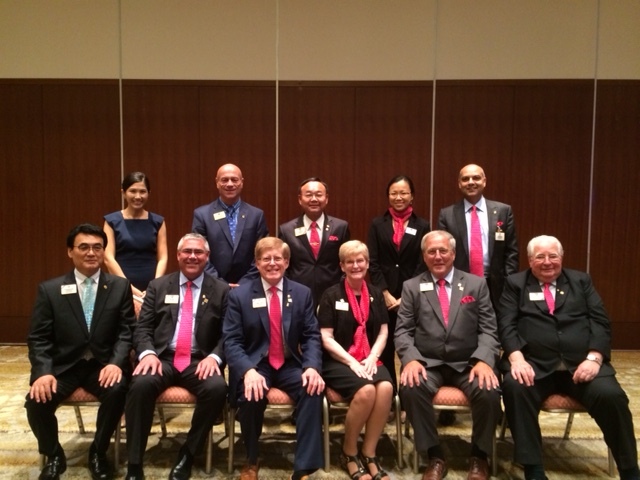 In mid-September, we experienced the USA/Canada Lions Leadership Forum held in Omaha, Nebraska. The Lions who planned this event did a wonderful job with programs and speakers. The use of Paw technology to network and share information provided a great conversation-starter and enabled everyone to learn how technology is transforming the way we interact. 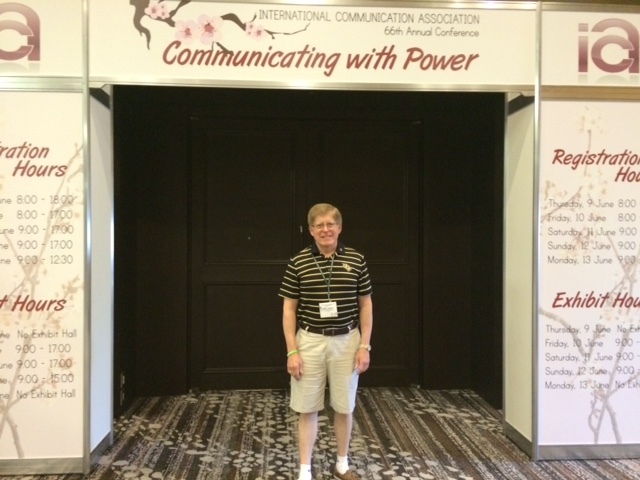 I presented a workshop entitled, “Preparing and Working with Local Media.” We also had an opportunity to catch up with old friends and see many of the Lions from across North America that we met during our visits while serving on the Board of Directors. 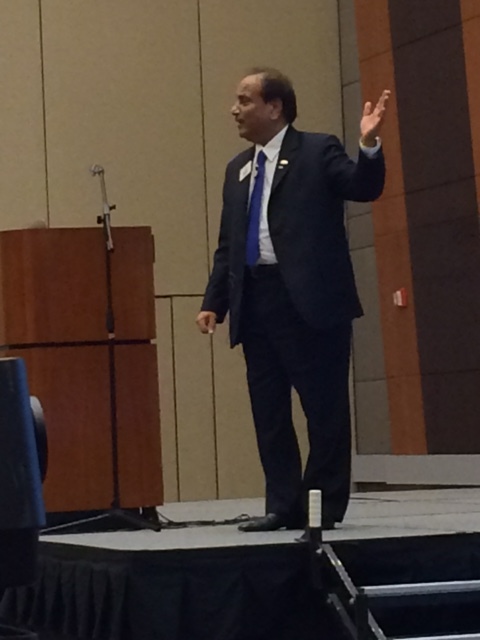 One of the highlights for me was listening to President-Elect Naresh Aggarwal share his vision with those who will be the incoming District Governors in 2017-2018. I am so honored to have been asked by VP Aggarwal to serve as a group leader from the United States. I will be responsible for mentoring 29 future District Governors as they prepare to take office at the 100th Convention, to be held in Chicago next June. We are Group 17 and what a lucky number that is in 2017! Well, it’s time to bring this post to an end. Thanks for your patience, as it may have been a little longer than expected. 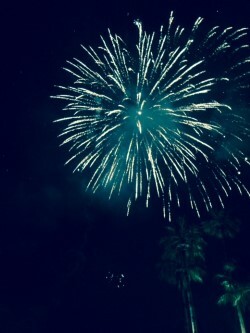 However, much has happened and now it will be easier for me to keep up. This week, we experienced our first hurricane–Matthew–and I must say, we were careful and diligent in following the restrictions and suggestions offered during the risk period and crisis situation. There will be work for Lions to do in all of the areas affected. 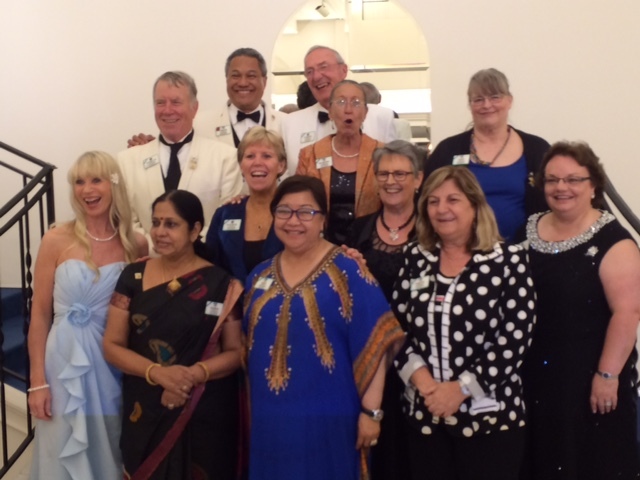 We are now associate members in the Oviedo-Winter Springs Lions Club, but have retained our primary membership in the Fargo Lions Club–our sponsoring club when we first began our international leadership journey. 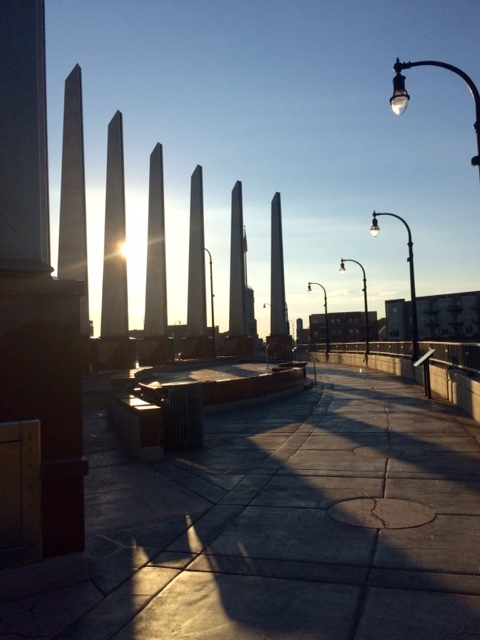 May we always keep–in our minds and hearts–the welfare of others in need.